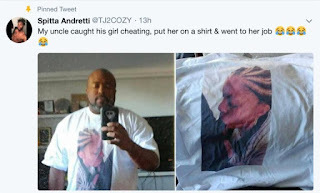 According to an American Twitter user (@TJ2COZY), his uncle did the unexpected when he caught his girlfriend cheating on him with another guy. When the man caught his girlfriend cheatING, he took a photo of the girl giving the guy a BJ. 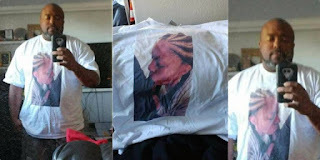 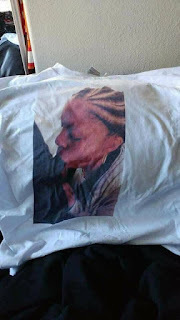 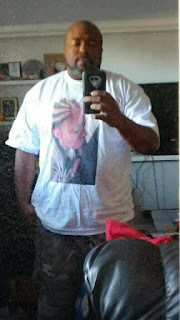 He didn’t take the picture to show to the lady as proof of her affair but rather, he printed it on his T-shirt.